I spent my entire life in Texas. I figured that this trend would come to an end when I became an animator, but was fortunate enough to land a job with DNA Productions in Irving, Texas, not far from my home. While there, I worked on Jimmy Neutron and on the feature film, The Ant Bully. Around the time the film was being completed, DNA told me it would be in my best interest to find another job, because they couldn't pay me anymore. Being the intuitive person I am, I figured they were trying to hint at something. I eventually found a job in California. So I packed up and took my family out to LA. It's no secret that LA and Dallas are different, but this country boy was shocked at how different they turned out to be. I will touch on just one aspect of California in this post. California has what they call highways, but they are selling a pack of lies to the driving public here. First of all, you rarely drive over 20 MPH on these "highways" thanks to traffic, and they aren't any wider than the average main street back home. Another odd thing I noticed is that you can't drive more than a few miles without needing to change lanes since these "highways" are constantly joining and branching off. In Texas I could take one lane on the same highway clean across the state. In California, you weave an eloborate tapestry just to stay on the same highway for a few miles. Another strange phenomenon I noticed here is the lack of on-ramps. If you were to take a road that should get you to a highway, chances are there isn't an on-ramp attached to it. I would guess that one out of every 5 cross-streets actually has access to the highway. If you are so fortunate to have found an on-ramp, be prepared for the on-ramp traffic light. This is something I have never seen before. You actually have to stop about halfway up the ramp, and wait for the light to turn green. At this point you have half the distance to accellerate to "highway" speed. Usually this is not a problem, since the average speed of any given highway is that of a residetial road under construction. However, if you are fortunate enough to find a highway clear of traffic be prepared to dart in between cars with the pedal floored. Motorcycles are dangerous enough, and I have seen my share of idiot motorcyclists in Texas, but I am convinced that Hollywood stuntmen all drive motorcycles and test their abilities on the roads of California. Regardless if you are on a highway at breakneck speeds, or stopped at a traffic light, motorcyclists weave in and out of traffic. This isn't so crazy except for the fact that they are usually not inside a lane, but between them on the painted stripes where cars are a few inches away from them on both sides. I have seen a motorcyclist go from being 10 cars back at a stop light to right up front by merely snaking in between the cars and waiting for the green light to allow them to punch ahead of the front line. Another thing I never dealt with in Texas are roads that wind in and out of the mountains. I drive on one every day to work, and it is a thrill ride every time. I've been passed on roads and the highway countless times, but I have never been passed in a parking lot until I moved here. Yes on a one-way, single-car driving lane, in a parking lot I have been dangerously passed, not once, but twice. On the second occassion the passer nearly ran over some pedestrians walking to their vehicle. The guy was driving a convertible and I seriously contemplated throwing a hard object at his head. That brings me to parking in California. In Texas, if you say, "I went to the mall and couldn't find any parking." You mean you parked over 50 feet from the entrance. If you say that in California, you really mean there was absolutely nowhere to park. I am not exaggerating folks. I have had to circle a parking lot several times, just to find ONE parking spot. That about does it for this round. Tune in next time for another episode of California vs Texas. Flippin Sweet! This ridiculously lucky family got to spend a day in the Magic Kingdom at DisneyWorld all by themselves. If you are a Disney theme park buff like me, you may not believe what you are reading. Check out the video of the family entering the park to experience one of the coolest prizes Disney is giving away during the Year of a Million Dreams celebration. 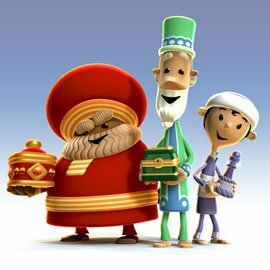 I recently finished working freelance, for Reel FX, on a very cool Christmas special called The Very First Noel. It is the story of the birth of Christ through the perspective of the three wise men, narrated by Andy Griffith. There is a possibility that it will air on television this holiday season, but it will definitely be on your local DVD shelf in time for Christmas. Make sure you check out the trailer on the website. One of my shots made its way in there. Look closely and you will see a soldier making his way up some stairs to Herod on his throne. I received this by email from a relative, and am not sure of the original source. If you know where this came from, please add a comment that gives credit where it is due. 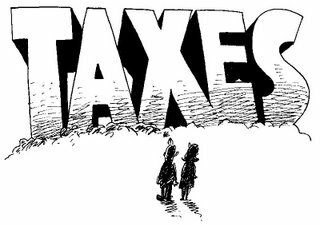 The next time you hear a politician use the word "billion" in a casual manner, think about whether you want the politicians spending your tax money. A billion is a difficult number to comprehend, but one advertising agency did a good job of putting that figure into some perspective in one of its releases. - A billion seconds ago it was 1974. - A billion minutes ago Jesus was alive. - A billion hours ago our ancestors were living in the Stone Age. - A billion days ago no-one walked the earth. - A billion dollars ago was only 8 hours and 20 minutes at the rate our government is spending it. While the thought is still fresh in our brain, let's take a look at New Orleans. It's amazing what you can learn with some simple division. Louisiana Senator, Mary Landrieu (D), is presently asking Congress for $250 Billion to rebuild New Orleans. Interesting number... what does it mean? Well, if you are one of 484,674 residents of New Orleans, you each get $516,528. Or, if you have one of the 188,251 homes in New Orleans, your home gets $1,329,787. Or, if you are a family of four, your family gets $2,066,012. Washington, D.C.. HELLO!!! Are all of your calculators broken?? 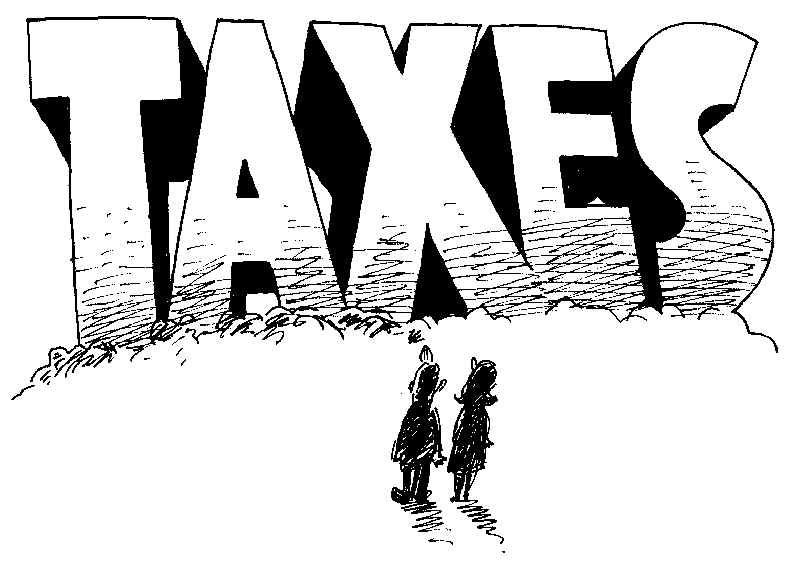 Not one of these taxes existed 100 years ago and there was prosperity, absolutely no national debt, the largest middle class in the world and Mom stayed home to raise the kids.